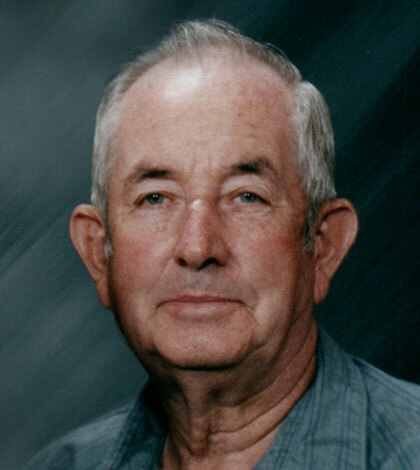 Robert Dale Fitzgerald, 87, of Flora, died Oct. 14, at his home, surrounded by his family. He was born March 12, 1931, the son of Harry and Eva Fitzgerald (nee Justice). He married Patricia Fawn Hendricks March 19, 1952 and together they have shared 66 years of marriage. Bob was a veteran of the Korean War. He was shipped out on the General Nelson M. Walker with the A Company 2nd Chemical Mortar Battalion, serving on the front lines in Daejeon from September 1950 to July 1951. For his service he received the National Defense Service Medal, Korean Service Medal with four Bronze Stars, United Nations Service Medal, Combat Infantryman Badge, Republic of Korea – Korean War Service Medal and the Carbine M-2 Expert Medal. He retired from the city of Flora after 31 years of service, working in each department and retiring as an electric lineman. Bob was a true outdoorsman, enjoying hunting and fishing, mushroom hunting and horseback riding with Jamie Barksdale. He enjoyed spending time with his family and friends. He was a member of Clan Fitzgerald, Clan Napier, Clan Rousch, Sons of the American Revolution, and was a past VFW member. He is survived by his wife, Patricia Fitzgerald of Flora; three daughters, Becky Murbarger, Tanya (James) Prather, and Belinda Cook, all of Flora; grandchildren Tricia Murbarger, Kyle (Brandy) Murbarger, Jamie (Korey) Barksdale, John (Heather) Hayes and Cassie Hall; great-grandchildren Zoe, Sawyer and Landen Murbarger, Garrett Barksdale, and Matthew and Lucas Hayes; siblings Bonnie McCracken, Tom Fitzgerald, Norma Clifton and Harriett Erwin; and several nieces and nephews. He was preceded in death by his parents; son-in-law, John Murbarger; a great-grandson, Brody Barksdale; and five siblings, Marie Arbuckle, Harold Fitzgerald, Shirley Campo, Jerry Fitzgerald and Donald Fitzgerald. Visitation and a funeral service with full military honors was Oct. 18, at Frank & Bright Funeral Home, Flora. Memorial donations are suggested to Disabled American Veterans and will be accepted through the funeral home.